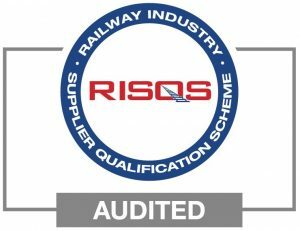 RISQS, the Railway Industry Supplier Qualification Scheme, is the supplier pre-qualification service used by buyers of all products and services throughout the GB rail industry. It is a single entry point for organisations to supply products and services to more than 110 buying organisations across the rail industry, including Network Rail. Achieving the highest rating RISQS certification further demonstrates LARS ability to meet rail industry requirements, as well as enabling us to showcase our extensive capabilities to rail industry organisations throughout the UK.